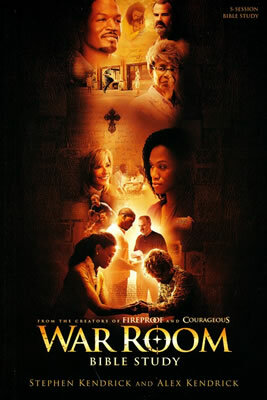 War Room Bible Study is based on movie clips by the same title where Tony and Elizabeth Jordan seemingly have it all – great jobs, a beautiful daughter, their dream home. But appearances can be deceiving. In reality, their marriage has become a war zone and their daughter is collateral damage. But with the help of Miss Clara, an older, wiser woman, Elizabeth discovers she can start fighting for her family instead of against them. With her newly energized faith, Elizabeth's real enemy doesn't have a prayer. Be sure to check back as new products are released!